This was very tricky to master so the success criteria was scaffolded to suit the different learning needs in Room 14. We are learners, so not all metaphors are perfect, but we understand the gist! 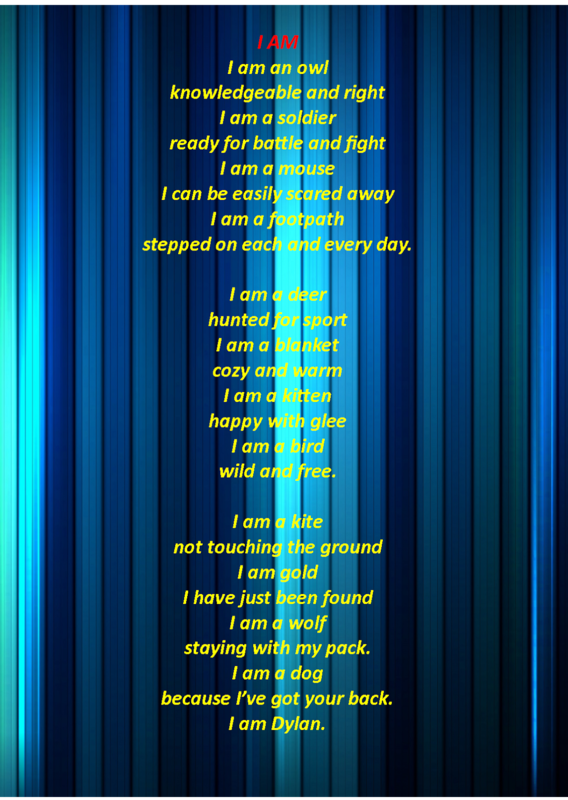 The goal was to create a 3 stanza poem about ourselves, using Metaphors. The descriptions of the metaphors were to rhyme...and that was the hardest part! We were also aiming for interesting, more precise vocabulary (but in order to make some lines rhyme, we had to stick with basic vocabulary).